If you are considering taking a bookkeeping course you should also consider taking a payroll course to help increase your personal Job salability – employers will love the fact that you have these qualifications to go along side your bookkeeping certificate/diploma! Payroll administrators make sure that a business wages are paid correctly and on time. 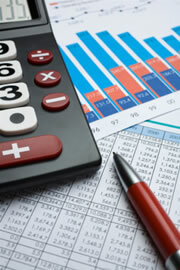 Some payroll administrators may also do general administrative work such as filing, photocopying and typing. With the availability of online payroll courses there’s never been a better time to train become a payroll administrator! There are many online payroll courses available that will get you the qualifications that employers are looking for. If you work as a Payroll administrator you would be office base with the majority of your time spent at a computer. working hours would usually be 9am – 5pm Monday – Friday.